This two part series revisits one of the pivotal events of the early Pakistani history; the riots by the religious right wing parties to get Ahmadis declared as non-Muslims, and the subsequent Munir-Kiyani inquiry commission report into the causes behind the riots. The report went on to interview the religious leaders of the newly formed state of Pakistan regarding their motives and their ideas of Pakistan as a pure Islamic state. As the interviews revealed the incongruous replies of various leaders, they also showed vague but chilling ideas that the right wing parties harboured to turn the newly formed Muslim nation into a political- Islam-dominated theocratic nation. The interviews reveal the role of democracy, non Muslims, Jihad and punishments like apostasy that would be practiced in an ideal Islamic state. The interviews are as relevant today as they were 56 years ago. If anything, they foreshadowed the violence that would engulf Pakistan as the state gradually ceded to the demands of the Islamic right wing parties. Religious parties kept incessant pressure on the newly formed state to take a turn towards Islamism. 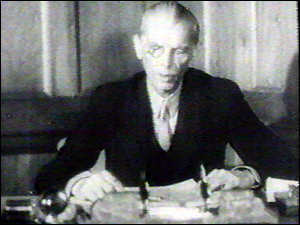 At the same time the pressure was on to the governments to kick the Ahmadis out of the fold of Islam by a state decree. It was not until 1974, that another bout of religious agitation got Prime Minister Bhutto to accede to their demands and get Ahmadis declared non-Muslims. 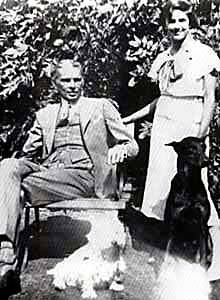 If anything, Pakistan has paid dearly for ignoring its founding father who spoke unequivocally that the newly formed state would not be theocratic, and that everyone is free to practice their religion as an equal Pakistani first and foremost. I have presented, mainly, the exclusive model of nationalism and state-nationalism that I have argued emerged in Pakistan, notwithstanding the very bold attempt of Jinnah to supplant it with inclusive nationalism. Exclusive nationalism — whether based on race or religion or some other cultural factor — discriminates, constitutionally, people who do not qualify as members of the community because they do not share the specific cultural ties that have been chosen to define the nation, even if they live in the same territory. Israel is a case in point. Jews from anywhere in the world can come and settle in its territories but not Palestinians who may have lived there in 1948 or in 1967 or in 1973. Only Jews have a timeless law-of-return privileging them over the Palestinians. The question arises: are states and nations fixed and frozen forever or can things change for the better? In other words, can an exclusive type of nationalism be transcended by an inclusive type of nationalism? The answer is, yes. After all, the nations of Western Europe were originally founded on membership in the State Church. Before World War II, most states in Western Europe required membership in the State Church in order to hold public office. Thus, for example, Sweden, where and my family and I are now settled, required even schoolteachers to be members of the Lutheran State Church. I was informed that this article has resulted – to put it euphemistically- in giving wedgies to quite a few chaddiz over at Bharatrakshak.com (as I had predicted in the article). So I dropped by and just as I predicted… their rear is entirely up in smoke. And the responses are hilarious. One genius is suggesting that Jamiat-e-Ulema-Hind are “secular” and the Majlis-e-Ahrar were good guys (that they laid the foundation of Anti-Ahmadiyya bigotry and led the movement for Islamization in Pakistan is just an inconvenient side-point for these geniuses). Mohandas Gandhi- whether someone admits it or not- is the father of politicization of religion. He brought Mullahs into politics deliberately to sideline the liberals. 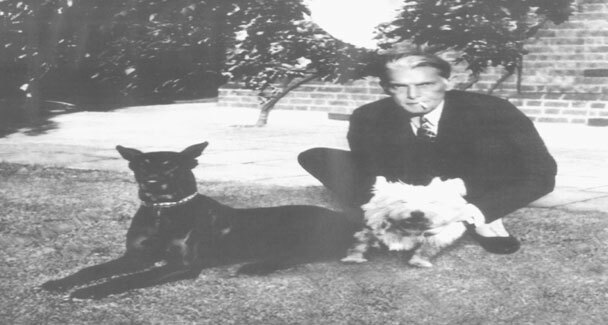 Jinnah and his ilk were only using the tools that were left to them. No wonder Hindu fascist chumps from Bharat Rhakshak think Jamiat-e-ulema-hind were harmless. The only harm JUH and Deobandi Islam ever did was to Muslims by stifling their progress. After all the latest edict from the “Secular” Deoband is that banking is haram for Muslims. Brilliant… what more could Hindu communalists ask for. Update: Responses to Nusrat Pasha’s article confirm the Gandhian mindset amongst Indians and I use the word Gandhian in the most uncharitable sense of the word. Gandhi – whatever his intentions- made a crucial mistake of driving down Muslim liberals and allying himself with Islamo-fascists- same Islamo-fascists who are responsible for much of the problems in the Muslim world. In the Urdu language, the word “taya” is used for an uncle who is older than one’s father. If Gandhiji is estopped from claiming fatherhood of political Islam, he must surely rank as the taya of political Islam in South Asia. Same thing is happening today. Many Indians – who have a vested interest in bolstering liberals – are so seized with nationalist bigotry and hatred that is ingrained in them against Pakistan and Jinnah that they are gleefuly celebrating Pakistan’s descent into chaos. Well my little short-sighted friends, if we in Pakistan fall – yes we the liberals you hate so much- you will be faced with a darkness that you can seldom conceive and which you barely realize at this moment. Then your little “secular deoband” fantasy will quickly turn into something you have no understanding of. And how it could become one. Pakistan has been a state since 1947, but is still not a nation. More precisely, Pakistan is the name of a land and a people inside a certain geographical boundary that is still lacking the crucial components needed for nationhood: a strong common identity, mental make-up, a shared sense of history and common goals. The failure so far to create a cohesive national entity flows from inequalities of wealth and opportunity, absence of effective democracy and a dysfunctional legal system.